Mr. Lincoln continued his letter to “Friend Morris”: “Again, it is said there will be an attempt to get up instructions in your county, requiring you to go for Baker. This is all wrong again. Upon the same rule, why might not I fly from the decision against me in Sangamon and get up instructions to their delegation to go for me. There are at least twelve hundred whigs in the county, that took no part. And yet I would as soon put my head in the fire as to attempt it. I should feel myself strongly dishonored by it. 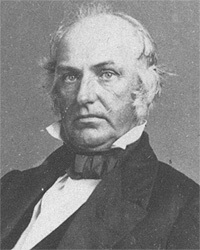 [William] Butler informs me that he received a letter from you, in which you expressed some doubt whether the whigs of Sangamon will support you cordially. You may, at once, dismiss all fears on that subject. We have already resolved to make a particular effort to give you the very largest majority possible in our county. From this, no whig of the county dissents. We have many objects for doing it. We make it a matter of honor and pride to do it; we do it, because we love the whig cause; we do it, because we like you personally; and last, we wish to convince you, that we do not bear that hatred to Morgan county, that you people have so long seemed to imagine. You will see by the journal of this week, that we propose, upon pain of losing a Barbecue, to give you twice as great a majority in this county as you shall receive in your own. I got up the proposal. Roy P. Basler, editor, The Collected Works of Abraham Lincoln, Volume I, p. 319-320 (Letter to Martin Morris, March 26, 1843). Benjamin P. Thomas, Abraham Lincoln, p. 101. Roy P. Basler, editor, The Collected Works of Abraham Lincoln, Volume I, p. 319 (Letter to Joshua F. Speed, March 24, 1843). Rufus Rockwell Wilson, editor, Intimate Memories of Lincoln, p. 190 (Thomas J. Pickett, Lincoln, Nebraska Daily State Journal, April 12, 1881). Roy P. Basler, editor, The Collected Works of Abraham Lincoln, Volume I, p. 321-322 (Letter to Martin F. Morris, March 26, 1843). Douglas L. Wilson and Rodney O. Davis, editor, Herndon’s Informants, p. 472-473 (William H. Herndon interview with George U. Miles, ca. 1865-1866). Roy P. Basler, editor, The Collected Works of Abraham Lincoln, Volume I, p. 323 (Letter to Joshua F. Speed, May 18. 1843). Roy P. Basler, editor, The Collected Works of Abraham Lincoln, Volume I, p. 322 (Letter to John J. Hardin, May 11, 1843). 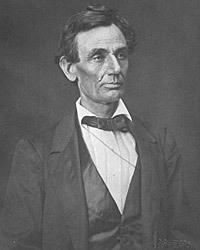 Benjamin P. Thomas, Abraham Lincoln, p. 104.